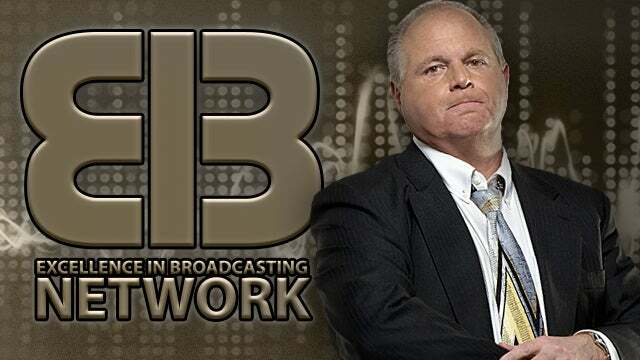 RUSH: So, I see that Karl Rove is out today with his column in the Wall Street Journal suggesting that Trump just move on now. Don’t focus on the origins of the investigation, don’t waste time trying to find out what happened here, because that’s only gonna tick off swing voters. 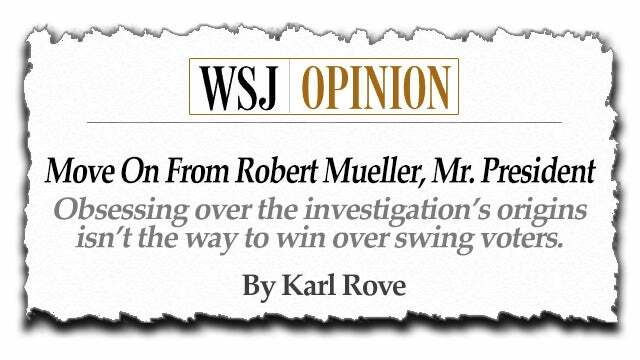 Now, I know that Karl Rove is a walking genius, indisputable. But I have to tell you I cannot tell you how much I disagree with this. These people need to be identified. They need to be investigated. What they did needs to be reported over and over and over again until every American understands it, and there’s no reason Trump should just now move on and ignore this. Because the Democrats aren’t. Have you heard the latest? The latest is the New York Times. Folks, these people aren’t giving anything up! They’re still gonna try to prove that the Russians interfered in this election. They’re still gonna prove this report is bogus. They’re still gonna carry this stupid water pail, because it’s all they’ve got. As long as they’re gonna carry this forward, I’m gonna be here every day beating ’em back because they are not gonna get away with this again! Now, the latest from the New York Times is that the Mueller report is 300 pages, and you know what that means? It means it’s impossible to summarize it in four pages like the attorney general did. They are now demanding — Pelosi’s demanding, everybody’s demanding — to see the full report. Because they are convinced somehow that there is evidence of Russian-Trump collusion in that report, that somehow William Barr is suppressing and Robert Mueller is letting him get away with suppressing! We’re dealing with irrationality bordering on insanity. Schiff won’t give it up. He needs to be forced off that committee. The Republicans are damn right about this. The media isn’t even close to apologizing for how they took this country to the brink and helped participate in this scam. The people who actually did this scam like Comey and Brennan, they’re not apologizing. So why the hell should Trump move on? There is no way Trump should move on. Look, Trump is POTUS. He can continue to deal with immigration and health care as he should while having the people at DOJ look into this. It’s not an either/or — and where is it written that swing voters do not want to know the truth about how a bunch of people nearly brought their country to its knees? Who the hell are swing voters that don’t care about this? This is the kind of passivity that we got during the eight years of the George W. Bush administration. You know, they didn’t want to taint the White House, the Oval Office, with “politics,” and so they didn’t respond to any of the similar stuff they got. You know, they were misled by the intel committee, weapons of mass destruction. Look what they did to Scooter Libby! Same thing. They didn’t leak his name, but who was marched out of his office and sent to jail for it? Scooter Libby, who had nothing to do with leaking the name of Valerie Plame! And it didn’t matter that her name was leaked because she wasn’t a clandestine agent. Oh, yeah, the New York Times says that that means that William Barr’s four-page summary cannot possibly be accurate, that Barr must be covering up a lot. This is as egregious as this sham investigation was! Now they’re saying that does contain evidence of collusion but that the attorney general is covering it up and suppressing it. How in the world could anybody expect to get away with this? There are other people besides Barr who are gonna see it, but more than that, there’s the guy who wrote it! His name is Robert J. Mueller III or whatever it is, and if William Barr is out lying — if the Mueller report claims that there’s evidence of Trump-Russia collusion — where is Mueller going on every television show he can saying that Barr is lying? Where is Mueller releasing the report? Don’t give me this business it’s against the law. If William Barr was actually suppressing evidence that there was collusion in this campaign between Trump and Russia and Mueller knows it and Barr lying about it? Then hell’s bells, folks, I guaran-damn-tee you everybody on Mueller’s team would be out there on this. That would be its own crime. That would be its own scandal. And yet that’s why they’re asserting! Pelosi, Schiff, and now the New York Times (paraphrased): “A four-page summary of a 300-plus page report can’t possibly be accurate. Barr must be covering up a lot.” MSNBC and CNN are desperate for another insane hook to hold on to their deranged left-wing audience, and so now they’re gonna lie to ’em again. 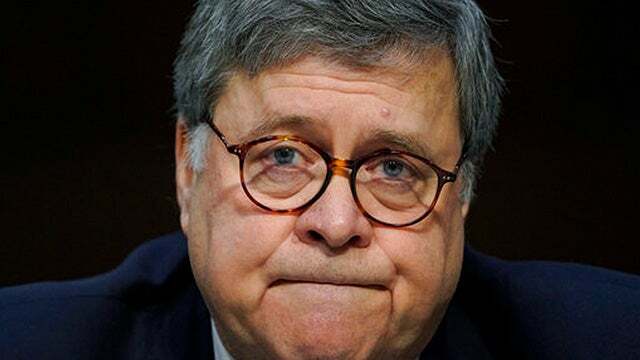 They’re thrown gonna lie to ’em and say, “The report probably contains evidence of collusion, but this handpicked attorney general, Barr, is sitting on it and covering it up!” How many weeks do you think they expect to get out of this on prime time on PMSNBC and CNN? (laughing) When you pull back from it and after the… It does enrage me; I have to be honest. I’m not even trying to hide it. At some point, it’s futility personified, and it literally becomes laughably sad, and the reason it’s laughably sad is because it’s gonna affect all of us. They just will not move on. It’s not even a question of apologizing for getting it all wrong. It’s not even a question. These newspapers… There’s a great column today by John Crudele in the New York Post about how the New York Times and the Washington Post got Pulitzer Prizes for all of their great reporting on this now nonstory, and he points out how newspapers lobby for Pulitzers like producers lobby the Oscar voters to be voted Oscars at the Academy Awards — and they got Pulitzer Prizes for reporting on a hoax! They got Pulitzers. Not for exposing the hoax, but for helping to pass the hoax along! So the people that award Pulitzers have been tainted here — and, by the way, they weren’t exactly objectively honest to begin with. The Pulitzer… Do you know when the Pulitzer Prize began? Let me give you a short little history of the Pulitzer Prize. Joseph Pulitzer — who was a newspaper publisher, I think, from St. Louis. It was a yellow journalist, rag, gossip rag, irresponsible, all kinds of just horrible journalism. That was his reputation. His brand of journalism was the bottom of the barrel. When you read a Pulitzer newspaper, you were in the gutter looking at up. So he created the Pulitzer Prizes as an effort to reclaim and rebuild his reputation by awarding the greatest journalism of the year. So it survives. The Pulitzer is now the journalism equivalent of the Academy Award, and all these papers won Pulitzers — and some TV people win them, too — on the basis of a literal hoax and one of the greatest political scandals in the history of this country. And there still is no remorse over having participated in this. There’s no remorse over having helped pass it along, move it along, promote it, amplify it. There’s no embarrassment. There’s no gulp and lump in the throat. “Oh, my God. What did we do?” None of that. No! There is just a search for the next hook that’s based on the same bogus premise, and they’ve found it. (impression) “The Mueller report is 300 pages (gasp!) and it’s impossible to summarize in four. “The Mueller report obviously contains details that Barr doesn’t want us to know that might lead us to believe that there was, in fact, collusion between Trump and Russia — and we demand to see the whole report because we know it’s in there.” So Barr is suppressing collusion evidence, and Mueller is letting him get away with it. This is so psychologically deranged that it takes somebody so psychologically solid and adjusted as me to sort it all out and not be affected by it. But we’re looking at mental illness here. We’re being confronted by a version of mental illness that has taken over the American left, including journalism, and including the Democrat Party. It’s real simple, folks. If William Barr — who, by the way, was number 2 on the list of most revered figures in Washington before this. 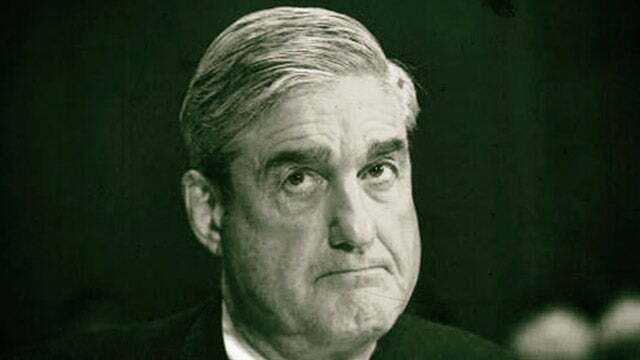 Mueller had more integrity than anybody. Mueller was the most horrible guy in town when he got the job as special counsel. William Barr has been attorney general for a bunch of presidents. He’s been all over that town. You know there’s gonna be stuff in the report not intended to be seen by the public at large. It’s always that way. It has to be redacted. It has to be researched for any classified information that must remain so. If it’s 300 pages and who knows how many footnotes, then it may take longer than a weekend to read the whole thing and treat it with the (ahem) respect that it (ahem) deserves. All this is driving the Democrats crazy because they’re lying to themselves again. 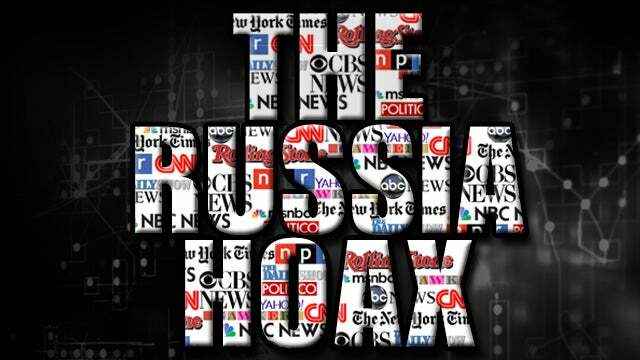 Trump colluded with Russia; they damn-well know it! No matter what anybody says, it happened! They know it because they wanted it to happen because there’s no other way Trump could have won. They wanted it to happen. They want to get rid of Trump. It’s the only objective they’ve got. (impression) “We’ve gotta give Trump. (mewling) It’s in there. It’s gotta be in there! It’s gotta be. There had to be collusion. There had to be. Comey said so; Brennan said so. It has to be in there.” They’re going nuts. They’re now demanding the report by April 2nd, which is next Tuesday. Why not April 1st? Why not bring it on April Fool’s Day, with all the other lame jokes that we have to deal with on April 1st? Jerry Nadler says… (chuckling) Jerry Nadler says they may even subpoena the report if they don’t get it by April 2nd. Another thing the New York Times is complaining about is the, quote, “kind of bare-bones summary required by the Justice Department regulations governing his appointment.” But that’s a requirement that was imposed by Democrats on the special counsel’s office after Clinton was investigated by Ken Starr. The “bare-bones summary” is what the Democrats demanded! They got exactly what they wanted, just like when they triggered a nuclear option on Supreme Court nominees. They got exactly what they wanted when it came back to bite ’em in the rear end. The Democrats imposed this regulation because they were embarrassed by all the salacious information that came out about Clinton in the Starr Report. Who needs Fifty Shades of Grey? You could have made a movie out of the Starr Report. Democrats were embarrassed as hell about that. They’re going crazy, folks — and the only thing you can do is turn off the media. If you want to avoid this insanity, you’ve gotta stop reading the New York Times and the Washington Post. You do. You have to turn off CNN. And Trump and Sarah Huckabee Sanders and all the rest of them have to stop appearing on these networks. They have to stop appearing on CNN, NBC, ABC, CBS, MSNBC. Stop appearing there! Everybody else needs to turn ’em off. Our nation’s sanity depends on people avoiding the Drive-By Media. Now we’ve got James Comey out there, interviewed by Lester Holt on NBC. James Comey, who wrote a piece over the weekend saying (paraphrased), “I don’t care! I don’t care what the Mueller report says. I don’t care if he finds this; I don’t care if he finds that.” Well, all of a sudden, he cares. I think Comey was sitting there all this time in uber-denial thinking that Mueller was going to pretty much send Trump to jail. Now Comey is out embarrassing himself. Comey is out saying that firing him as FBI director was obstruction of justice, and it isn’t! You’ll hear the sound bite. Comey says, “Well, he gets rid of me; I’m the one doing the investigation. He’s trying to stop an investigation into him…” He didn’t try to stop an investigation into him or anybody else. The investigation went on. The investigation was not interrupted. It was not distracted. It was not detoured. It was not deterred. Nothing happened to the investigation, except Comey was taken out of it! And Trump was perfectly within his constitutional rights to fire Comey. Rand Paul is out saying Brennan is the guy. Brennan’s the guy running the dossier. Brennan and all these guys, they had the dossier and they were frustrated as hell all through the Summer of 2016 that they couldn’t get anybody to believe it, because it was a pack of lies! So they attached it to an “intelligence report” to get it the imprimatur of intel, rather than a salacious piece of opposition research. So, no, we’re not gonna let this go, and we’re not gonna say, “What the hell can we do to save the swing voters?” We’re gonna bring the swing voters along, and they’re gonna be informed and educated about what happens when you elect Democrats and put them in power!